Said to be the founder of Frederick, MD. [S387] Unknown subject unknown repository. 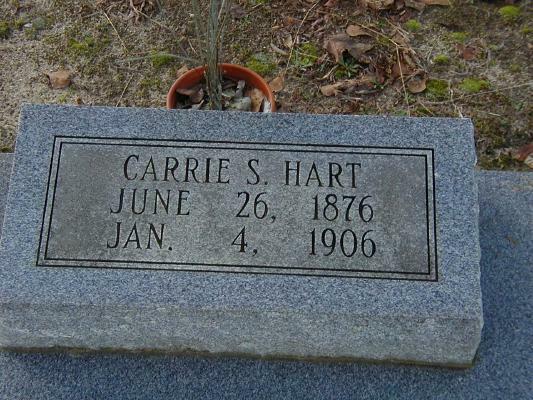 She was the ninth and last child of the founder of Frederick, MD. Added by prufner33751 on 6 Oct 2007 Recently an obit was found in German newspaper in the Archives in Allentown, PA. This information shows that Mary Barbara Schlitz/Schultz was born in Germany. She was the second wife of Simon Rufner(Ruffner, Rufener eet cetera)She came with him from Germany and it is thought that George Adam was born on the ship over or after it docked in the Philadelphia Harbor. She went to Westmoreland Co. PA with her son Simon after her husband died. She is buried in the Catholic Cemetery there. [S24] Jane S. Sweinberger,, Ruffners of Pennsylvania. [S421] Unknown subject unknown repository. Her husband is shown as a widower. MARRIAGE* 1677� She married Reynier Piat in 1677 Rene and Elizabeth Sheffield are believed to have had two other children, names unknown, between Samuel and the last child, Jane (Joan). (Monnette) From FIRST SETTLERS OF PISCATAWAY AND WOODBRIDGE; (p.225) by Monnette; the following paragraph is copied: "The PYATTS or PIATTS or PIATS (the name is variously spelled) are probably of French origin. In "A Catalogue of ye names of ye Inhabitants of ye Towne of Piscataway," in the old 'Town Book', entered there about 1690, is found that of 'La Fflower, alias Reni Piat'. And in a list of the Freeholders, of about the same date, 'Laflore alias renipate'; and in another list, of a little later date, 'La Flower alias Rene Piat'. It would seem that he first resided in Woodbridge, where in 1677 he was granted a license to marry Elizabeth Sheffield of Flushing, Long Island, NY. Immediately after their marriage, they moved to nearby Piscataway; joined the Baptist Church; and there their children, Jacob Thomas James and Joan, were born (Piscataway Town Records).